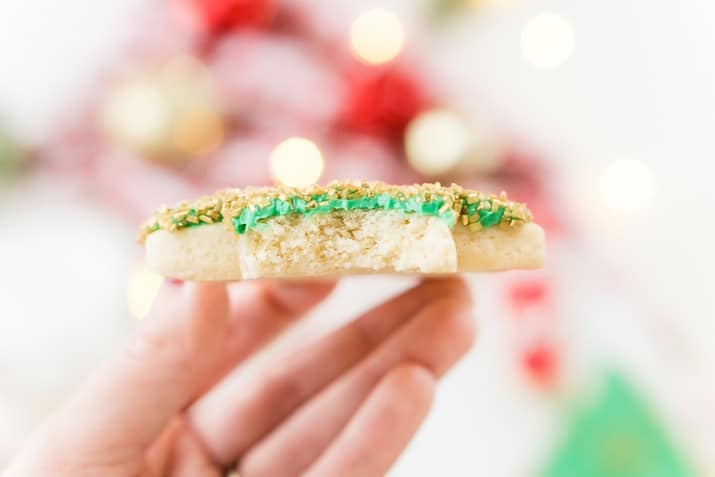 There’s just something about those classic Christmas Sugar Cookie Recipe from scratch just like grandma used to make. 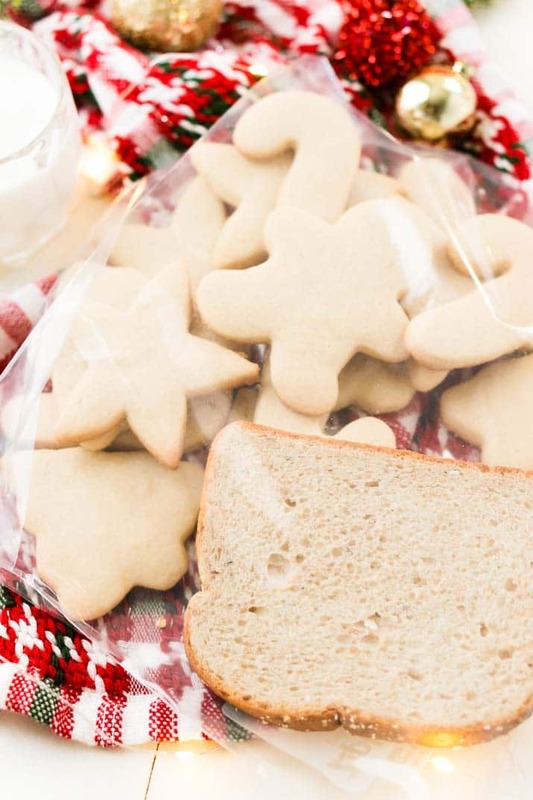 This simple recipe made with butter, sugar, flour, and vanilla is perfect for decorating for the holidays! Happy Monday, guys! Today I’m sharing my Classic Sugar Cookie Recipe. I love sugar cookies because you just can’t go wrong, they’re just so buttery and sweet and when you ice them, well my oh my! They’re perfect for decorating for the holidays or making fruit pizza with this summer to share with the whole family. This classic sugar cookie recipe is one of my favorites, other than no bakes, they’re what we made the most when I was growing up! They were perfect for decorating during the holidays or scarfing down as soon as they were out of the oven! The only bad part about them is that you have to wait a couple of hours or so for the dough to chill for easy cookie cutting… lame, I know! But these are so worth the wait! Made with minimal ingredients that you probably already have in your house they’re just the thing to curb that sweet craving! The dough can be used as soon as it’s mixed to make drop sugar cookies. Just use a cookie scoop to drop them on a parchment lined cookie sheet and bake for 10 to 13 minutes until the edges are golden brown. You’ll be left with buttery, pillowy, chewy sugar cookies! But once you chill this dough, it’s great for cookie cutter cookies that don’t rise too much and are still soft in the center. They can easily be decorated for any holiday and frosting helps to add any sweetness this old-fashioned recipe might lack. 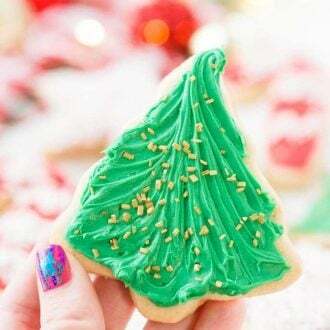 Cute Packaging: I love sharing cookies with friends and family throughout the holidays and that means cute packages, right? I love these little boxes and these bags! 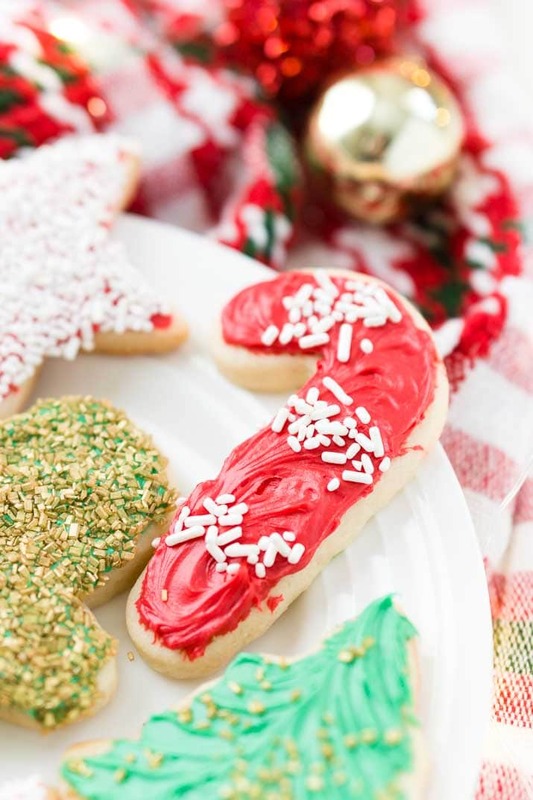 Cookie Cutters: Use fun, holiday-themed cookie cutters to make fun shapes for frosting! Piping Tools: If you’re going to get real crazy with the decorating this year, make sure to be prepared with this piping kit. Santa Set: Making these cookies for Santa? Get this cute plate and milk jug to serve them on! What Is A Sugar Cookie? 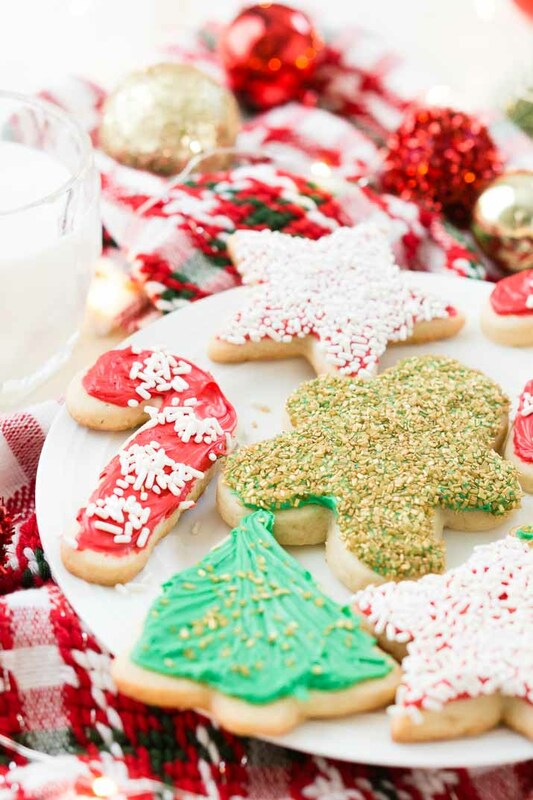 Generally, sugar cookies are a mix of butter, sugar, flour, vanilla, eggs, baking powder, and salt. Sometimes you chill the dough and sometimes you don’t. Sugar cookies are usually baked between 350 and 375 degrees F.
Sugar cookies can be enjoyed plain or frosted after cooling. How Do You Make Sugar Cookies? 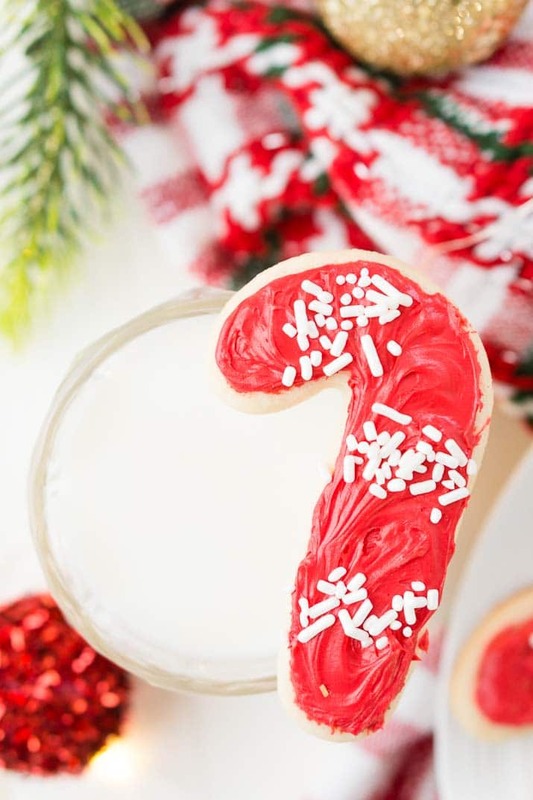 To make this Sugar Cookie Recipe, begin by creaming together butter and sugar on high until light and fluffy in a large bowl or stand mixer fitted with a paddle attachment. Next, you’ll add in the egg and vanilla and beat until well combined. Then, in a separate bowl, sift together flour, baking powder, and salt. Slowly add the flour mixture to the butter mixture, lightly mixing between each addition until flour is completely incorporated. Roll the dough into a ball and wrap in plastic wrap and chill for 2 hours. After your dough is done chilling, preheat oven to 375 degrees F.
Finally, roll dough out to ¼ inch thickness on a lightly floured board, flour or spray cookie cutters with cooking spray before cutting. Cut out the cookies into desired shapes and place them on a parchment-lined baking sheet and bake for 8-10 minutes. How To Keep Sugar Cookies Soft? A trick my Mumma and Grammie taught me was to put a piece of bread in the bag or container that had the unfrosted cookies, this meant that you could make them a couple days in advance and they’d still be just as soft as if you’d just pulled them out of the oven. 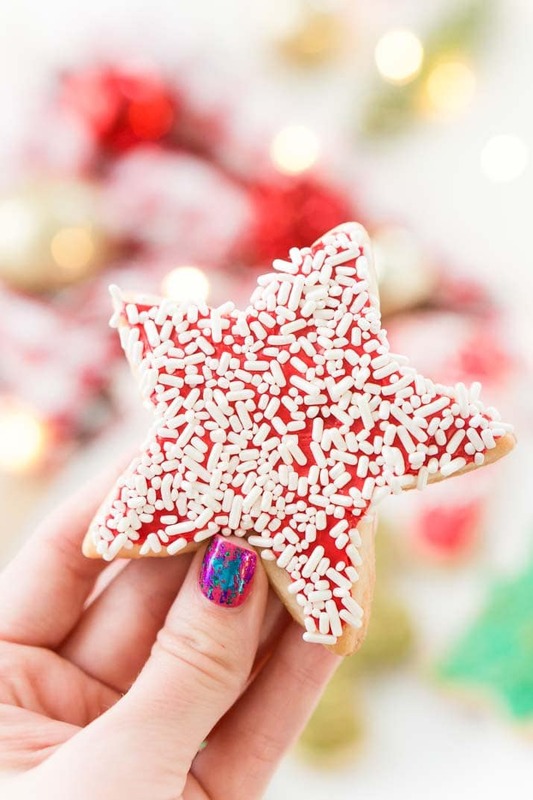 Pin this Sugar Cookie Recipe for Later! There's just something about those Classic Sugar Cookie recipe made from scratch just like grandma used to make. This simple recipe is perfect for decorating for the holidays! In a large bowl or stand mixer fitted with a paddle attachment, cream together butter and sugar on high until light and fluffy. Add egg and vanilla and beat until well combined. In a separate bowl, sift together flour, baking powder, and salt. Slowly add the flour mixture to the butter mixture, lightly mixing between each addition until flour in completely incorporated. Roll into a ball, wrap in cling wrap and chill for 2 hours. Roll dough out to ¼ inch thickness on a lightly floured board. Flour or spray cutter with cooking spray. Place cookies on a parchment-lined baking sheet and bake for 8-10 minutes. These are awesome!!! 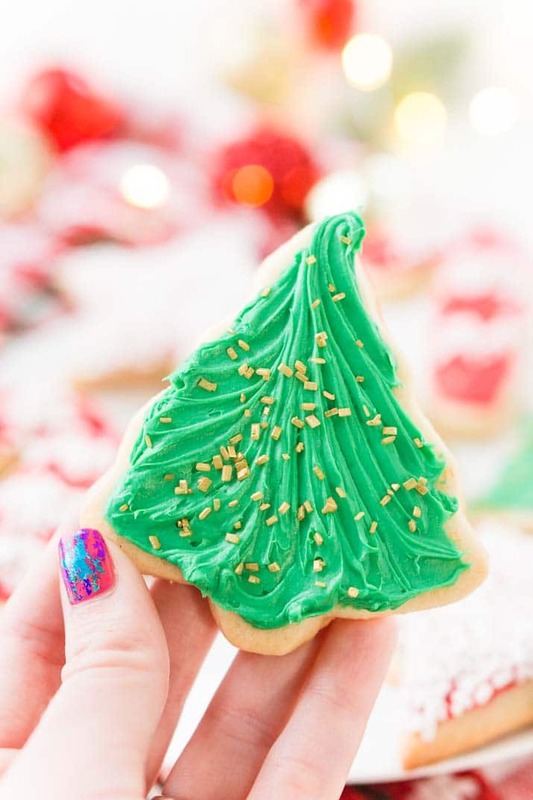 Can you suggest a recipe for an icing for the cookies? Would your buttercream frosting be good? Thanks so much I just love your recipes! We can’t use butter at all due to food allergies. What would you suggest. Because we tried a dairy free butter and the batter was so sticky it was almost impossible to use. and it wouldn’t retain its shape at all.. it would just spread out on the flat surface we were using. So just let the kids hand make shapes. the end result was still good and airy. But making them was a hot mes. Any suggestions. Hey! Thanks for the recipe! Mine did not turn out sweet enough…. maybe I used to much flour while rolling them out? Do you ever add anything to make rhem sweeter? Hi Alicia, I’m sorry they didn’t turn out a sweet as you’d like. This is an old fashioned/classic recipe and isn’t overly sweet because they’re generally served with icing, but should definitely still be sweet on their own with a cup of sugar in them. Did you try icing yours? Sugar cookies are my downfall during the holiday season as they are so delicious and addictive!! YUM! Me too, I can never get enough cookies during the holiday season! Absolutely, it’s a great recipe to make with kids!